Akron Triviators: Happy Bicycle Day! Trivia Tonight @ Franks! Happy Bicycle Day! Trivia Tonight @ Franks! 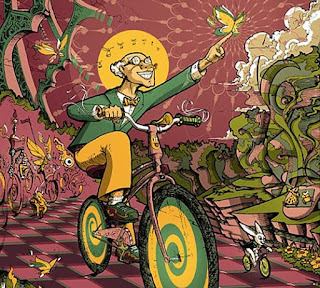 Right before 4/20, I'd like to wish you a Happy Bicycle Day! According to Scientific American, on this day in 1943, Sandoz chemist Albert Hofmann, discoverer of lysergic acid diethylamide took the world's first deliberate dose in his lab, and rode home on his bicycle. The CIA and US military got in on the "bicycle" action, too. What was the official code name of the CIA/Army joint program that officially ran from 1953-1974 which tried to develop mind control and conducted experiments where mental patients, prisoners, CIA personnel and members of the public were dosed with LSD, often without their knowledge or consent? 30 Years of Pripyat Suntans!